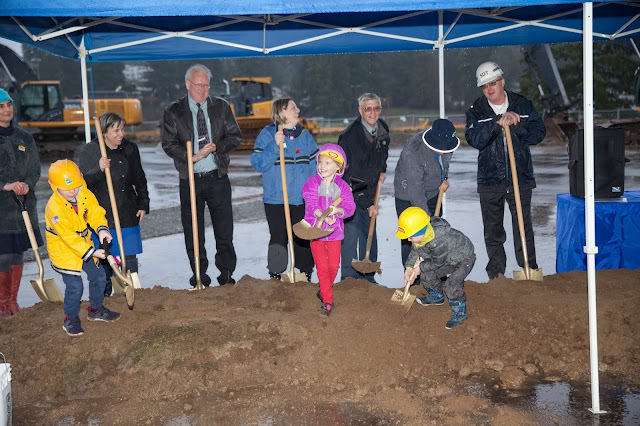 It was more like digging a moat than breaking ground, but the elated attendees didn't mind. The event was billed "rain or shine" and it is the Northwest, after all. 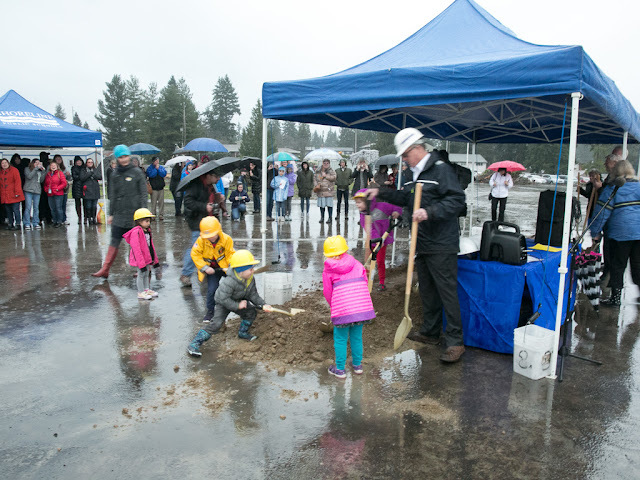 The little ones were given shovels and hard hats and had a wonderful time. 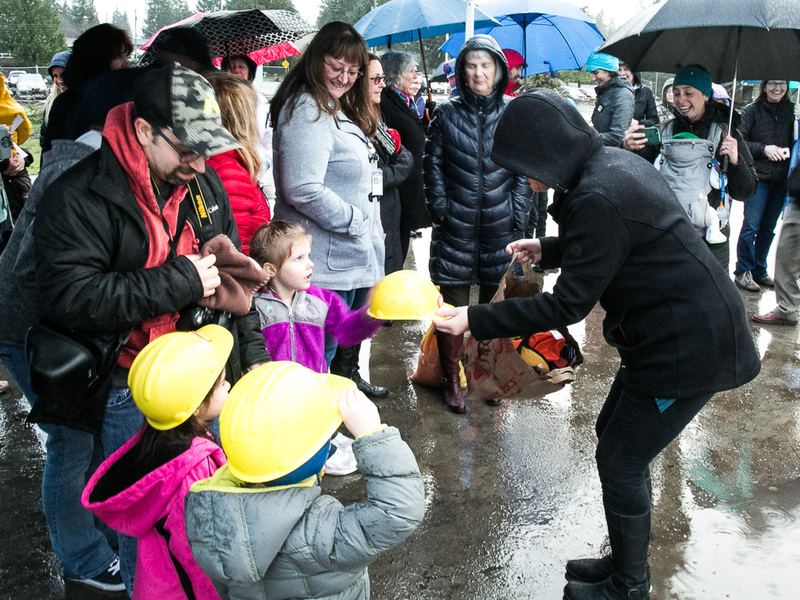 Handing out hard hats - safety standards matter! With the construction of the Shoreline Early Learning Center, all three preschool programs will be in one building for the first time. Over the years, they have been housed in different school buildings. The building which was torn down for this construction was the original Meridian School, which opened in 1957, and was the oldest building in the school district. For the 2017-2018 school year, the Children’s Center program moved temporarily from the site at 1900 N 170th St to the former North City Elementary at 816 NE 190th St.
while the 4 year olds do the digging! 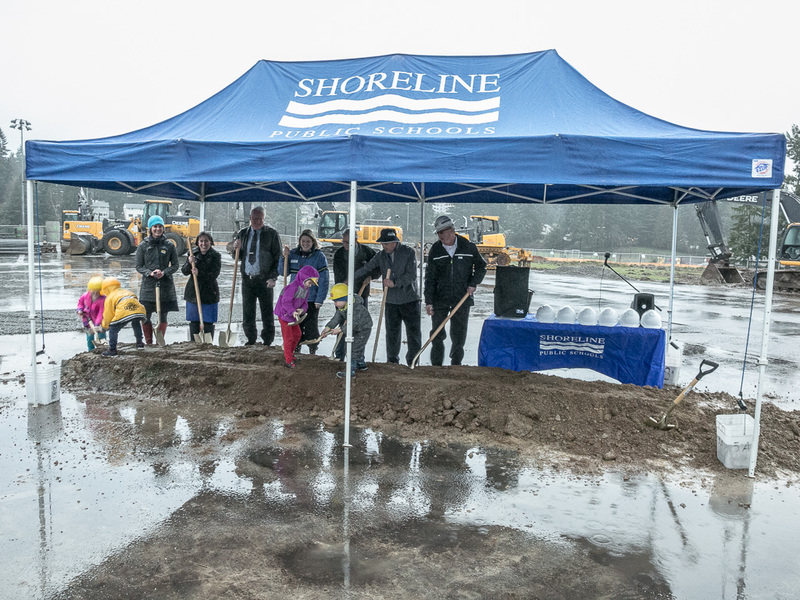 Construction will begin soon for the new facility, which is scheduled to open at the beginning of the 2018-19 school year.